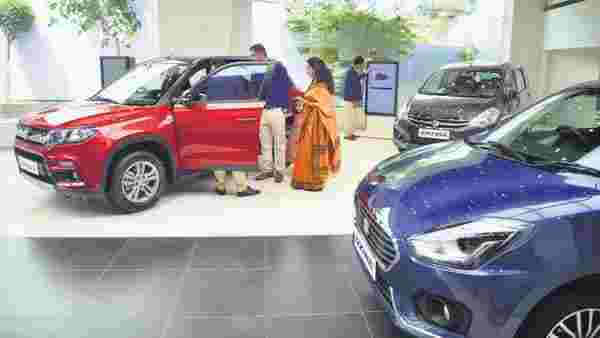 New Delhi: Maruti Suzuki India Ltd is looking at a potential decline in both sales and market share, as it plans to stop selling diesel cars from April next year. India's largest automaker has nearly 30%, or about 450,000 units, of its annual sales of diesel cars. Maruti Suzuki expects about half of those buyers to switch to gasoline or CNG cars through incentives and CNG options in more models. However, it fears that the rest will shift to diesel cars from competing brands, according to an internal projection prepared by senior executives from Maruti. Maruti is considering the drastic step forward in the future of its diesel range, since the imposition of Bharat Stage VI emission standards from April 1, 2020 would make such vehicles more expensive by at least ₹2 lakh per unit to make them comply with the new rules. In particular, this is expected to lead to most small car buyers switching to petrol or CNG models. Small cars are the largest part of Maruti's sales volume. R.C. Bhargava, the president of Maruti, said the company could stop producing diesel variants from some of the smaller cars because the price difference between gasoline and diesel variants would be significant. He did not say whether the company would stop making diesel cars & # 39; s completely. "We need to produce vehicles according to what is likely acceptable to customers. If we have a larger vehicle, we can continue. Ultimately, we have to assess what customers want and develop vehicles," Bhargava said. According to the internal forecast, Maruti could lose an annual turnover of 125,000 to 150,000 vehicles if there were no diesel cars in the portfolio, since most of its competitors would probably be finished with BS VI diesel engines by April, two people said development. According to the projection, the sale of the high-selling Ertiga, Vitara Brezza and S-Cross models will be hit the most when Maruti unplugs diesel cars. Maruti Suzuki spokespersons did not respond to an email sent on Monday. If Maruti loses market share, it becomes the first since 2012-13 for the most profitable unit of Suzuki Motor Corp. In FY13, Maruti's market share fell to 39% when sales of diesel vehicles increased at the expense of gasoline. The company managed to increase its market share to 51% by introducing a whole range of vehicles, especially in the above ₹7 lakh segment. Suzuki has yet to decide whether to upgrade its current 1.5-liter diesel engine, launched with the Ciaz sedan in March, to meet BS-VI standards. The company can therefore start FY21 without a diesel engine, but introduce one later in the year. The two previously quoted people said that the loss of volumes and market share was projected as the worst-case scenario and that it could be limited if Maruti succeeded in switching buyers of diesel cars. Some senior executives of Maruti wanted to remain diesel cars, because rivals Hyundai Motor Co. and Tata Motors Ltd would also have diesel cars, the first person said. "The losses can be mitigated by the company because the diesel vehicles will be considerably expensive, but converting 30% of the volumes will be difficult because some customers want to buy diesel variants," the person added. Currency reported on February 15 that Maruti was talking to Suzuki about the future of diesel cars in India, including whether the company should stop producing diesel vehicles. "The absence of Maruti in the diesel portfolio, especially in cars from the B and C segments, can adversely affect their market share, but at the same time it is an opportunity for other players," said Puneet Gupta, associate director. vehicle forecast (South Asia) at IHS Markit. "But we must not forget that Maruti Suzuki understands the pulse of the consumer best. It looks like the company is banking heavily on CNG cars and assuming that consumers will switch to petrol cars in the coming years." s. "
He said that the share of diesel cars is decreasing, but that they still have a large share in the total car market. The second person quoted above said that Maruti's decision made sense, although it can cause pain in the short term. "The customers of the Maruti commercial fleet can fully switch to CNG to maintain their profitability, but nobody knows how retail customers will behave." The launch of the current 1.5-liter engine took longer than the expected time and a BS-VI engine must be tested for 1 lakh km before it is launched. So for Maruti it is like working against time. "